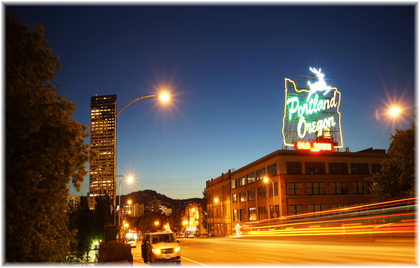 On November 25, 2015, the Portland City Council passed ordinance #187459. This law will restrict employers in the city from asking about or searching for criminal history information. The law will take effect on July 1, 2016. 23.10.030 – Use of Criminal History in Employment Decisions. A. It is an unlawful practice for an Employer to exclude an applicant from consideration solely because of the applicant’s criminal history. B. An Employer may consider an applicant’s criminal history in the hiring process only after making a Conditional Offer of Employment. An Employer violates this Chapter if an Employer accesses an applicant’s criminal history prior to making a Conditional Offer of Employment. C. It is not an unlawful practice for an Employer to rescind a Conditional Offer of Employment-based upon an applicant’s criminal history if an Employer determines in good faith that a specific offense or conduct is job-related for the position in question and consistent with business necessity. 3. The nature of the Employment held or sought. 3. Charges that have been resolved through the completion of a diversion or deferral of judgment program for offenses not involving physical harm or attempted physical harm to a person. F. If, after consideration of an applicant’ s criminal history an employer rescinds the conditional offer of employment, the employer shall notify the applicant in writing of its decision and shall identify the relevant criminal convictions on which the decision is based.